Participation in the Regional Thespian Festival provides some very positive perks. Bringing home awards that advance the troupe to state competition is icing on the cake. Saturday, BHS Thespian Troupe #7549 returned from the Regional Thespian Festival with a handful of accolades. The troupe’s one-act play, “Bury the Dead,” received first place and BHS senior Megan Rinker was named best supporting actress. Bridgeport’s Demi DePiazza and Callia Byard earned a spot in the All Festival Cast and Derek Hess received a first-place award for his short film. 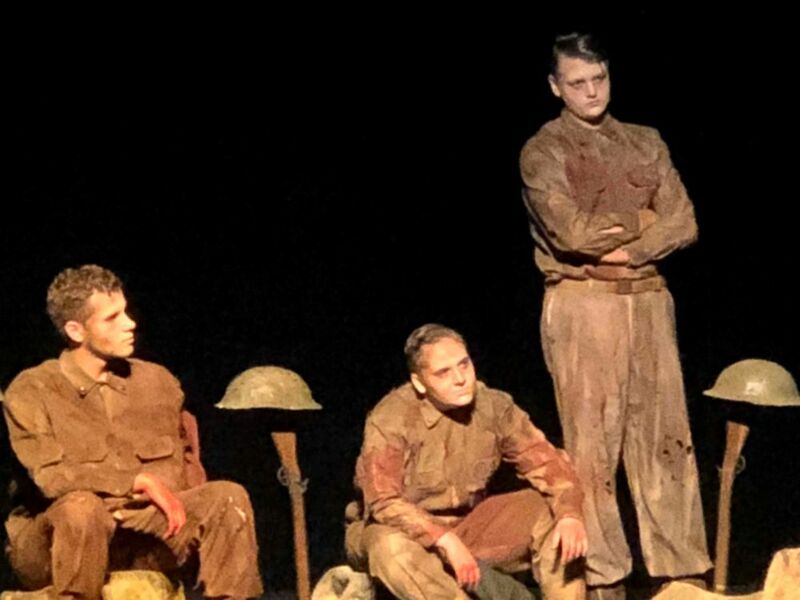 The 45-minute “Bury the Dead,” in which 30-plus cast and crew members are involved, will be performed at the West Virginia State Thespian Festival, March 22-24 in Parkersburg. Held at Fairmont Senior High School, this year’s regional event was competitive. Plays receiving first through fourth places advance to states. Robert C. Byrd, North Marion and Buckhannon-Upshur received second, third and fourth places, respectively. St. Martin Brown said judging is subjective, but she believes BHS is certainly deserving of the first-place honor which has been earned for the past three regional festivals. Perfecting a play that has so many roles does take much effort, skill and practice, she said. Before taking the one-act play to Saturday’s regional festival, the troupe performed the show at BHS Friday evening. There was no fee to see the play, but donations were collected for the Thespian troupe and will help with expenses involved in traveling to the state festival. At the state festival, troupe members will also have opportunity to compete in individual events like monologues, solos and duets.